The smallest Stage in Hamburg St. Pauli – right inside a bottle recycling machine. 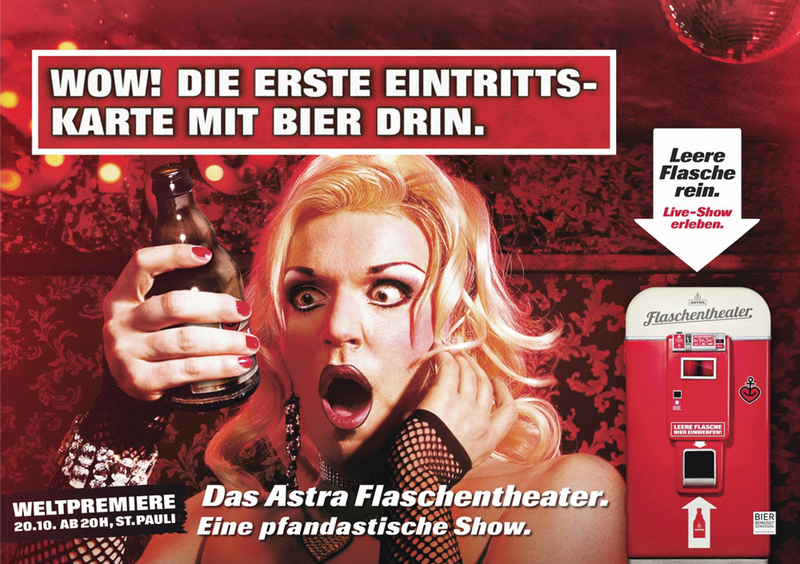 Astra is Hamburg's most loved beer and anti-premium. Its heart beats for its home turf, the red light district of St. Pauli. It was about time to solve one of St. Pauli's biggest problems: The district has developed into a run-down area littered with piles of empty bottles. To change that, we simply changed the value of an empty bottle, giving people a good reason to clean up the streets themselves.